Star Wars fans love to develop theories about pretty much every aspect of the saga, but isn't very often that those theories get approval from those behind the scenes at Lucasfilm. Well, that's exactly what happened today. But before we jump into today's big news, we have to give it some context and go all the way back to 1983. In Star Wars: Episode VI - Return Of The Jedi, a Rebel soldier with a bushy, white beard can be scene briefly in a number of scenes on Endor in the third act of the film. 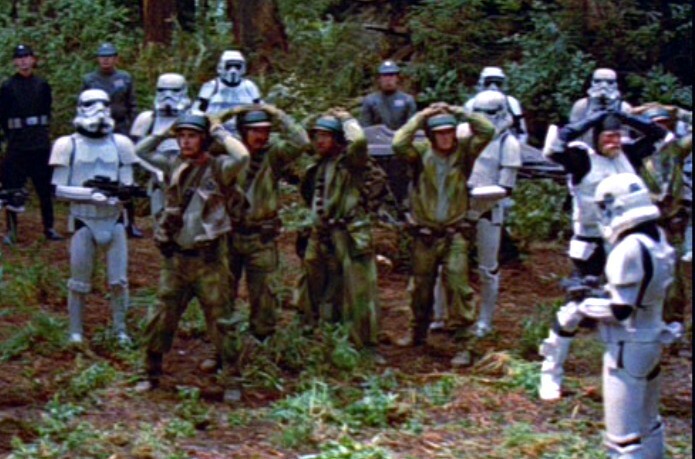 He can even seen wearing some stolen Scout Trooper armor in the scene where Han, Leia, Chewie and the Rebels are captured and surrounded by Imperial Troops. In the following years, various Legends material would apply the name Nik Sant to the character. Beyond that the character did not receive much development and remained mostly forgotten for years as simply a background character. 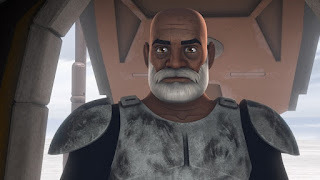 Fast forward to the year 2015, the second season of Star Wars Rebels premiered with the episode "The Lost Commanders", which reintroduced Clone Troopers Wolffe, Gregor, and Captain Rex back into Star Wars animation. Soon after, fans began to take notice of visual similarities between Rex and Sant. Some even went as far as to speculate that Captain Rex could actually be the bearded Rebel trooper on Endor in "Jedi." After months and years of speculation, it didn't take long for the theories to make it back to the creators at Lucasfilm. At a premiere screening in 2016, Star Wars Rebels co-creator Dave Filoni further solidified the theory by commenting that he too subscribed to the idea that the "bearded old guy on Endor" could be Rex. 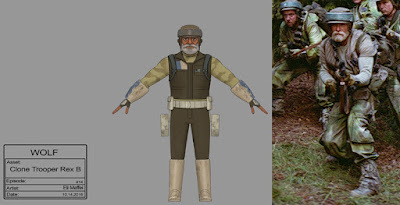 Then, at the most recent Star Wars Celebration, he added more fuel to the fire by revealing concept art of Rex in camouflage armor that looks strikingly similar to Nik Sant's costume. Now we get to today, where Star Wars Rebels writer Steven Melching tweeted a photo of the aforementioned concept art alongside a photo of the bearded Rebel with the caption "This is happening. 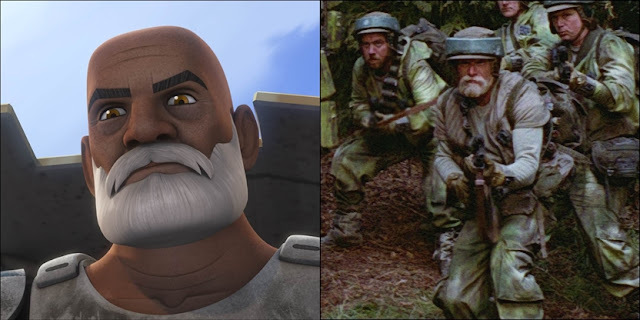 #StarWarsRebels #OldCaptainRex". Although Melching admits in a subsequent tweet that it has yet to be officially confirmed by "the powers that be", I think we can finally take this as a solid indication that Captain Rex is indeed in Return Of The Jedi. Opinions on this apparent retcon have been all over the board, per usual for Star Wars fandom. While many seem excited at the idea of imagining Rex as one of the Rebel strike team members on Endor, others are not so happy. A large number of fans are pointing to this change as an example of whitewashing, being that the Temuera Morrison, who portrayed the Clone Troopers in the Prequel Trilogy, is of Māori descent, while the actor in Return Of The Jedi (which, according to some sources, is named Cliff Alliston) appears to be white. So, can you accept the idea of Rex appearing in Return Of The Jedi, or is this change going a bit too far? Let us know your opinions in the comments below! The rebel trooper with white(blonde) beard is Lynn Myers. Cliff Alliston is trooper in center of pic, Cliff is also in center of pic with Han Solo, just to the left of Lynn's left shoulder. Posted by Cliff Alliston. Friend, can you provide me with your sources that Nik Sant was played by Lynn Myers?